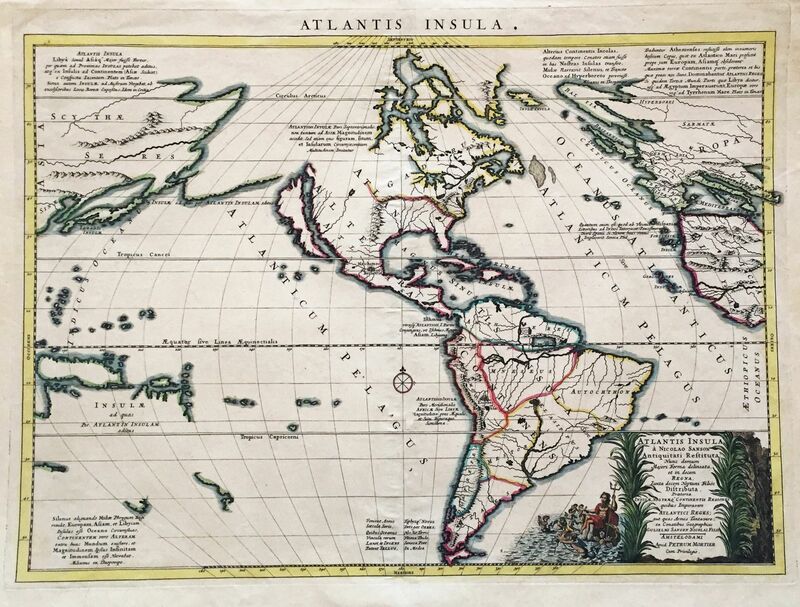 FairWinds Antique Maps - Item # 321: Atlantis Insula. The Covens & Mortier edition of Sanson's fascinating map of the New World as Plato's mythical Atlantis, divided among the 10 sons of Neptune, who is featured in the elaborate title cartouche. California is shown as a large island and northwestern North America/Atlantis extends all the way to the land of the Scythians in Asia. Condition: outline color; overall age toning; minor fraying at edges of margins.